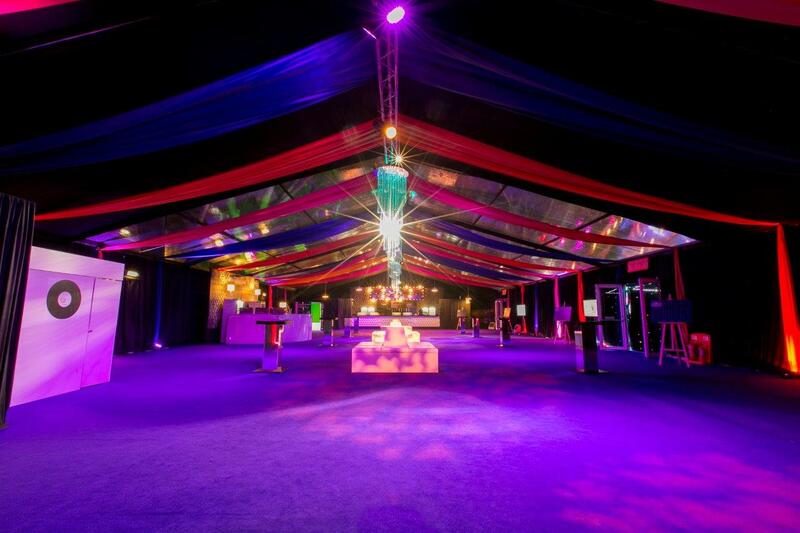 The Bloomsbury Big Top is an award winning, iconic, multi-purpose events venue based in the heart of London. If you’re tired of the usual hotel event space, look no further and choose a venue to remember! Our dedicated events team are ready to discuss your event requirements and make your next event truly awesome! Call our team today on 0845 644 6510. What can the Bloomsbury Big Top offer? The venue’s flexible space can be configured for all types of events including christmas parties, weddings, sports events & conferences and can cater for up to 2500 people. The venue launched in 2010 and has hosted well over 500 events since it’s doors opened for some of London’s top blue chip companies and leading charity events. Take a look at our venue gallery to see the space in action. The venue is ideal for seated dinner events and gala dinners. 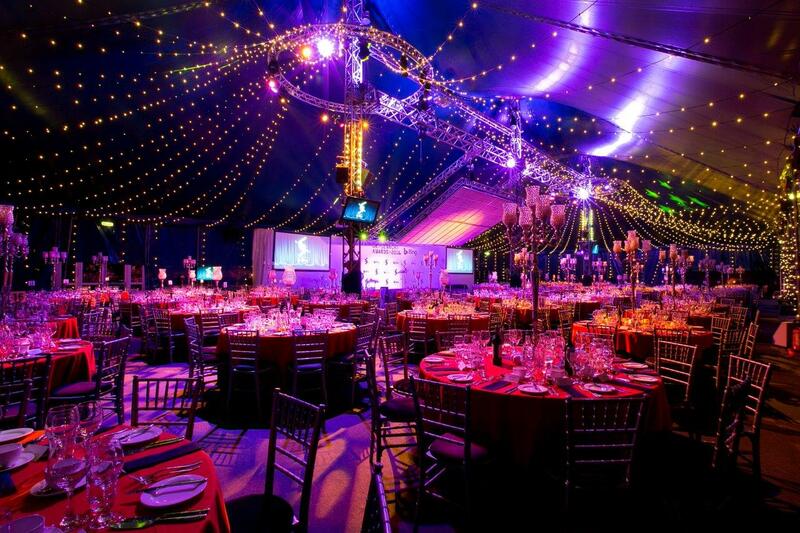 The Bloomsbury Big Top is suitable for seated events between 300 and 700 guests. The venue is ideal for standing events from 300 to 2000 guests. We offer a variety of catering options including canapes, bowl food and buffets. 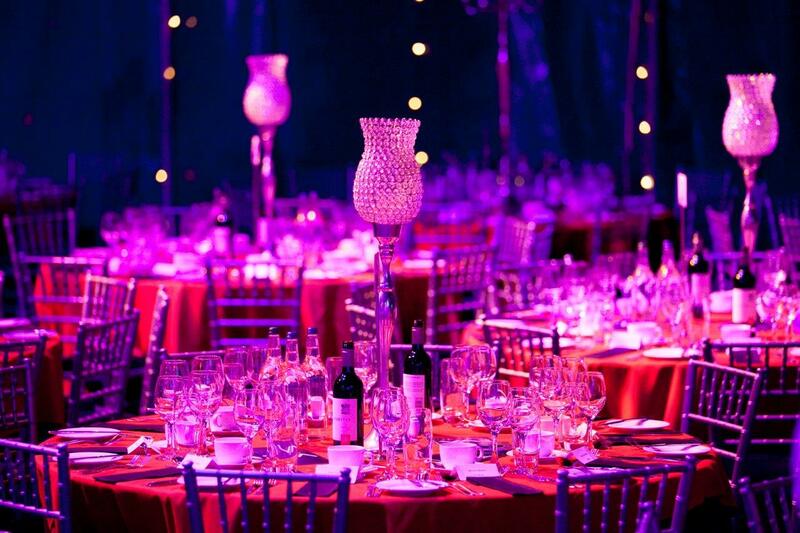 Bloomsbury Big Top has played host to some of the biggest awards ceremonies in London. The audio visual facilities available take every award ceremony up a notch. Looking to host your next conference somewhere a little different? The Bloomsbury Big Top is a unique conference venue with full audio visual facilities. In Winter the venue hosts both shared and exclusive Christmas events through out November and December for groups of 10 – 2500 guests.